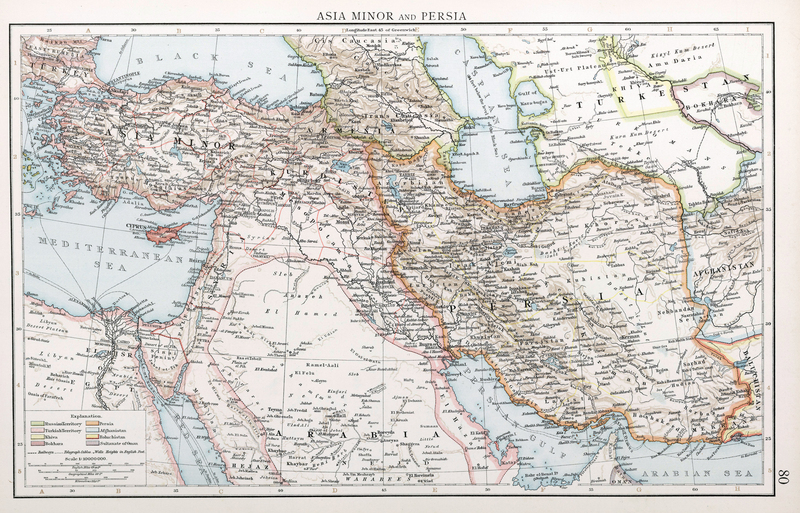 The Persian Gulf was notorious to the Royal Navy as a hotbed of piracy. This was particularly pressing to the British due to the importance of maintaining communications between London and India. The Imperial East India Company made repeated efforts at cleaning all piracy out of the Gulf region. The role of Bahrain as being a natural harbour meant that it was an obvious target of Royal Naval pressure. In the early 1820's the rulers of Bahrain, Salman and Abdullah Al Khalifa, signed an agreement to try and limit piracy in the area. In 1835, the Royal Navy dictated peace treaties to many of the leaders of the Gulf; and Bahrain was no exception. 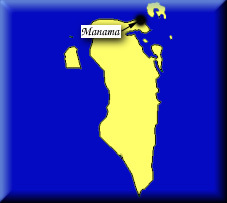 The treaty specified that the rulers of Bahrain would make every effort to stop pirates operating in the area. It also had a clause that tried to limit the slave trade. In 1843, the Sheikh Abdullah was overthrown by the grandson of Sheikh Salman, Mohammed. Mohammed ruled until 1868. During this time, he tried to protect his position by signing a Treaty of Perpetual peace and Friendship with the British. Other Gulf rulers would follow with these so-called Exclusive agreements. These Treaties were to offer British protection in return for control over their foreign affairs. Unfortunately, this agreement did not stop dynastic feuding over Bahrain as the son of Sheikh Abdullah, also named Mohammed, returned and imprisoned the other Mohammed. The British were losing their patience with these rulers and sent a fleet from Bushire to arrest both Mohammeds and deport them to Bombay and installed Sheikh Isa to run the island. 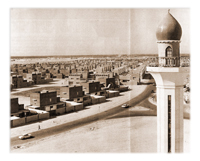 Sheikh Isa was to live to 1932. In that time, the British were content to let the Sheikh run the island pretty much as he pleased. However, as time passed Sheikh Isa was beginning to prove to be a bit too conservative even by British standards and so in 1921 he was forced to relinquish day to day control over Bahrain to his son, Hamad. Almost immediately, Bahrain embarked upon a policy of modernisation. This was further aided by the political appointment of Charles Belgrave as adviser to the Emir. Together, these two established much of Bahrain's infrastructure with roads, schools and hospitals. Their job was made easier with the discovery and exploitation of oil. Bahrain's primary purpose was that of a Naval base until the discovery of oil. Indeed, the Royal Navy moved its whole Middle Eastern command from Bushire to Bahrain in 1935. Oil was first reported by a British official in 1902 when he heard reports of oil spouting out near the coastline. However, it wasn't until 1925 that the first oil concession was awarded to the New Zealander, Frank Holmes, and even then it took until 1932 to find enough commercial quantities to extract. By 1936 Bahrain was exporting oil. During the second world war this supply of oil took an added dimension and level of importance as one of only three known sources of oil in the Middle East at the time. Indeed the Italians even tried a less than successful bombing raid on to the refineries in 1940. The first serious seeds of discontent were felt in 1956 at the height of Pan-Arab Nationalism and the Suez Debacle. The British foreign secretary was stoned by protesters. Later that year, Anti-British riots broke out in which several people were killed. They were serious enough for the British to land troops. Eventual Independence became inevitable with Britain's announcement that it could no longer afford its defence commitments and so would withdraw itself from the Gulf by 1971. Bahrain became independent that year, but has since maintained close diplomatic links with the British particularly in the military and police fields. n.b. All Gulf Sheikhdoms were requested by the British to include the colour white in their flags in order to signify that they had signed the Anti-Piracy Treaties. The red is thought to be taken from the British Imperial Red colouring. 1820 Abdullah and Salman Al Khalifa sign abstention from piracy treaty with the East India Company. 1861 Treaty of Perpetual Peace and Friendship with Britain: This ceded to Britain control of foreign affairs in return for protection from attack.